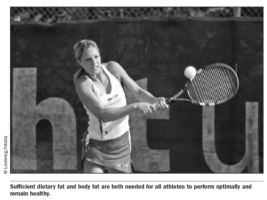 Nutrient Timing for Peak Performance: What is Fat? This is an excerpt from Nutrient Timing for Peak Performance by Heidi Skolnik and Andrea Chernus. It’s important to make the distinction between dietary fat and body fat. Fat that is eaten serves important functions in the body and is a source of calories. 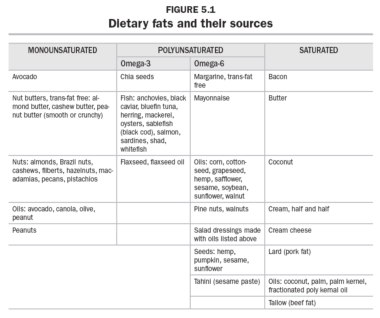 However, dietary fat does not necessarily turn into body fat. Including enough fat in the foods we eat helps food taste good and helps satisfy our appetites. Dietary fat provides nine calories per gram compared with four calories per gram of carbohydrate or protein, so it is a dense source of calories. Exceedingly high-fat diets can crowd out, or not allow us to get enough of, the other macronutrients, protein, and carbohydrate.